More computing is happening on edge devices to handle the information overload. Emerging superfast data networks like 5G — a melting pot of wireless technologies — will dispatch even more gathered information, which could stress data centers. Servers are already being redesigned to handle more data, and throughput technologies like Gen-Z and fiber optics will reduce latency. Hewlett Packard Enterprise showed off its latest generation of IoT servers called Edgeline, similar to the company’s Proliant servers but slimmed down. The servers sit on the edge and are able to analyze data before sending them to core servers in data centers. The servers can virtualize data packets on the edge, which then makes better use of computing resources. 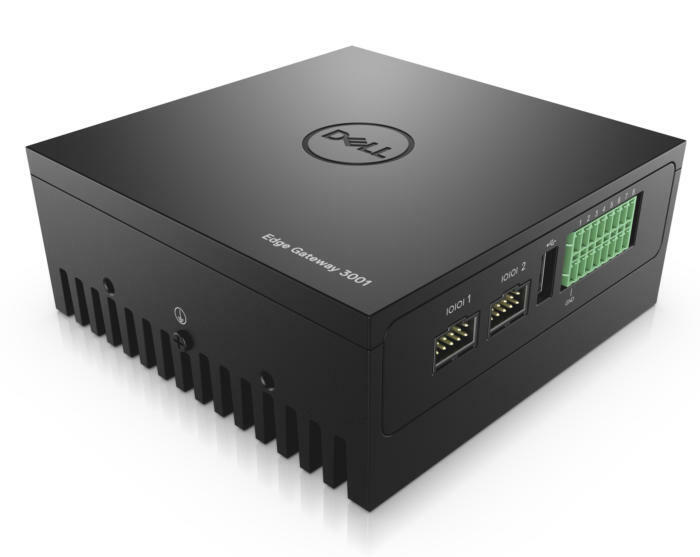 Nearby, Dell was showing off its Edge Gateway 3000 servers for multiple IoT applications. The servers can analyze data at the point of collection and dispatch them to the data center. These servers use Intel’s latest Atom chips, which have up to 16 cores. Ubuntu showed off some Open Compute Project network router designs with edge processing. The routers ran Ubuntu Snappy Core and can run software for edge processing. These routers are servers in their own right and reduce the load on high-end servers. Ubuntu “snaps” — which are like apps — can be tuned for specific edge processing tasks. More information about new edge router designs will be shared at Open Compute Project Summit next week. Powerful CPUs aren’t needed for edge processing, but chips need to able to collate large datasets and ensure they are virtualized and redirected properly. ARM servers chips can virtualize data with the ARMv8 64-bit architecture, which has been adopted by chipmakers like Cavium. Edge processing is also becoming a priority for telecom providers, which are looking for ways to add flexibility to the services they provide to customers. For example, SK Telecom — which is testing 5G rollouts in South Korea — found edge processing valuable in virtualizing its data and radio networks.